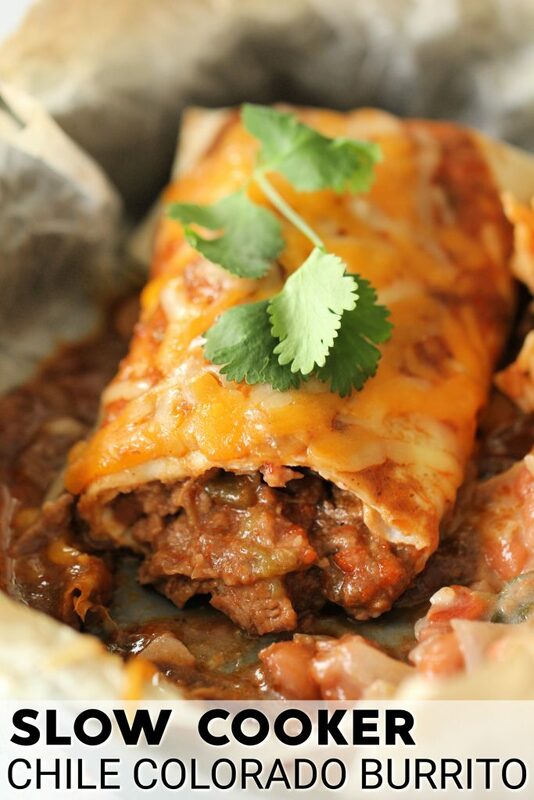 Beef, enchilada sauce, chiles, and spices get dumped together in the slow cooker to make an amazing dish the whole family will love - it's easy and full of flavor! To be honest, I have never heard of a Chile Colorado Burrito, but apparently they are popular and delicious in the Tex-Mex world. 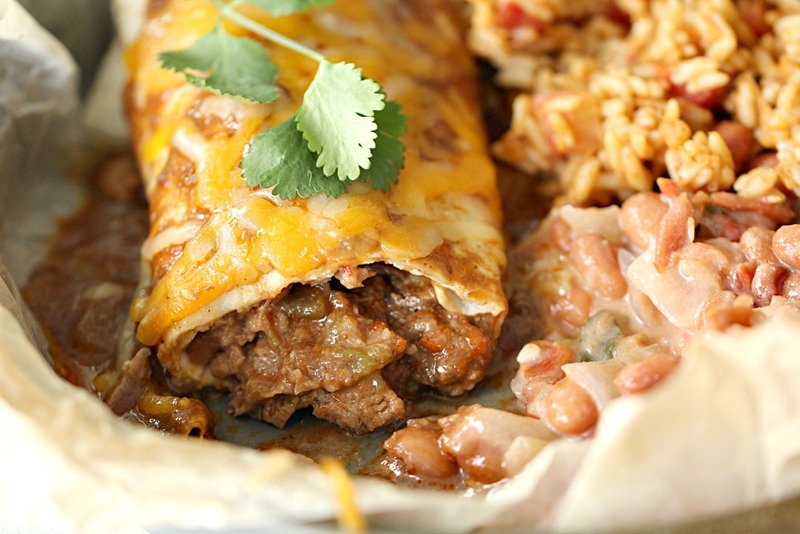 The meat inside of these burritos is so simple to make, but tastes absolutely amazing! It basically falls apart when you poke it with your fork. 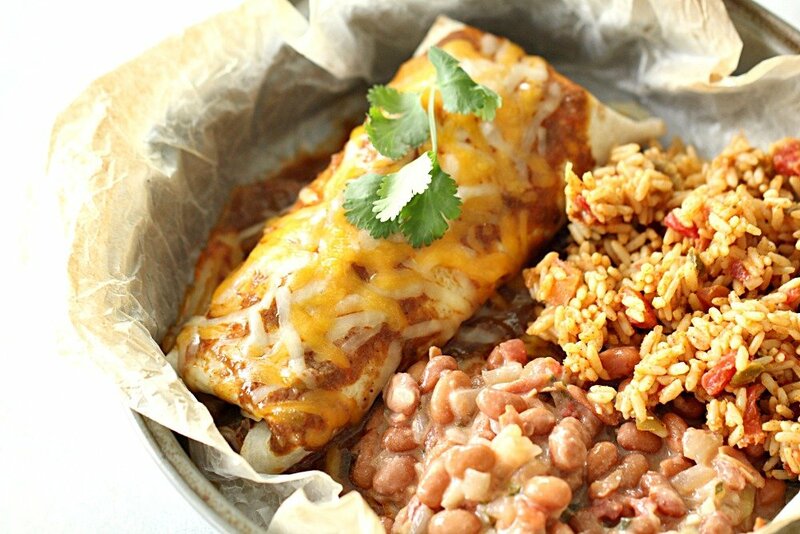 After cooking the meat all day in your slow cooker, you wrap it up in a big flour tortilla, smother it in sauce and cheese on top, and broil to perfection (you could also make it without smothering it in sauce and cheese – it’s up to you!). My family loved them and I am sure that yours will too! Chili Colorado (or Chile Colorado) is a Mexican dish that is made of a red sauce and tender piece of beef. In Spanish, the word “colorado” means “colored red”, which might be a reason why it’s known by this name. You can also use a New Mexican chile in this dish (also called a Colorado chile in Mexico), which might be another reason why this style of dish is called Chile Colorado. If you want, you can serve the meat with sauce on rice on the side instead of wrapped in a tortilla – it’s delicious either way and very versatile. This recipe is what we call a “dump and go” recipe – just dump the ingredients in and let the slow cooker do the work! It’s simple. When beef is done, turn oven to broil. On an oven-proof plate or baking pan, lay out a tortilla. Place 1/2 cup of the meat on a tortilla and a spoonful or two of beans. Roll into a burrito. Pour some of the remaining enchilada sauce from the slow cooker over the burrito to cover it and top with cheese. Broil until cheese is bubbly, about 2-4 minutes. For this recipe, you’ll need a good slow cooker. Here are a few suggestions to take into consideration before selecting yours. How big is your family? If you have a large family, we’d recommend looking at an 8 quart slow cooker so you can make sure your recipes fit all in one. We love this 8 quart slow cooker. You can find it in a 6 quart size too! What are your slow cooker needs? Do you need a self timer while you’re gone at the office all day? Or do the simple high and low settings work for your lifestyle? Check out these self timer slow cookers and these manual slow cookers to see which one will work best for you. Spray your slow cooker with non-stick cooking spray. Put beef, enchilada sauce, bouillon cubes, onion, green chiles, chipotle pepper sauce, cumin, oregano, and salt and pepper into slow cooker and cook on low for 7-8 hours, or until meat is very tender (you could also cook on high for maybe 3-4 hours). When beef is done (it will be very tender and flake off when stirred), turn oven on broil. On an oven-proof plate or baking pan, lay out a tortilla. Place on tortilla about 1/2 cup of the meat, drained by using a slotted spoon, and a spoonful or two of beans. Roll into a burrito. Makes 6-8 burritos, depending on how full you make them. Try these Steak Burrito Bowls! Perfect! I was looking for a new chicken slow cooker recipe, thank you!!! I am making this for dinner tonight! Just wanted to tell you this is my favorite recipe blog and I have tried many of your recipes and loved them. Thank you! If you want a much more tasteful dish season the meat first with either packaged taco or fajita seasoning or do your own with cumin, chili powder, pepper, salt, garlic powder and oregano. Also chop up an onion too and put that at the bottom of the crock pot. After the meat cooks pour the juice out then put some of the saved enchilada sauce back in like you would with bbq sauce for pulled pork and heat for another 1/2 hour. Happy eating! Unfortunately I thought these were so bland. I make a roast that this reminds me of but with less flavor. I have to agree with the comment above about seasoning the meat first. I ended up adding cumin and a half a packet of taco seasoning and still just thought it was OK.
Is that ok if the cubed meat is frozen when put into the slow cooker? It should still be ok. Try to break it up so it's not one big chunk. Just be sure it has cooked through at the end of the cooking time. I've never heard of these before I found your recipe. Giving it a try today. What is chipotle pepper sauce? I searched through the condiment aisle, but did not see anything. Tobasco makes a Chipotle Pepper Sauce. If you look on Amazon you can see a lot of different brands and most our found in grocery stores. Hope this helps. 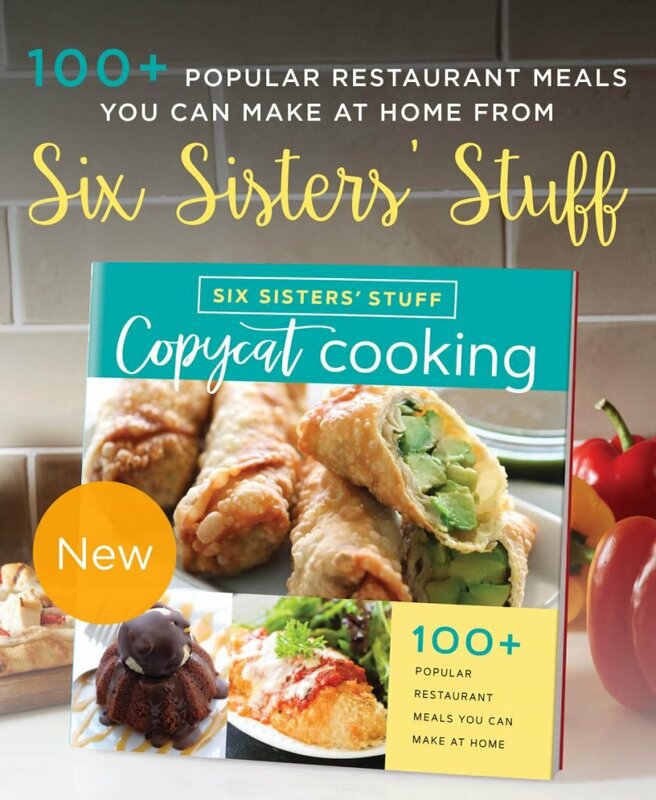 This recipe isn't super hot. The burritos aren't too spicy, but have a little kick. Our kids ate them so I know it wasn't too much spice. It looks super easy and tasty especially for a work day! Set it and forget it. I'll add seasoning at beginning too because we like A lot of flavor and spice.